All of our recordings of Krishna Balaram Mandir up until 2014 are available as free downloads. The 2015 recordings are broadcasted on our radio stream and can only be downloaded as a member or through our donation based online store. 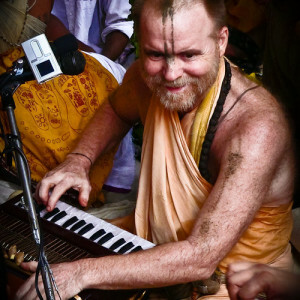 Part of those membership fees and donations is flowing back to 24 Hour Kirtan Mandali in Vrindavan as this is one of the 3 main goals of 24 Hour Kirtan Radio. Very well thought out everything. Very good work. Thank you very much! You just made all very high quality! The highest level! Keep it up !!! It would be nice that would be regulated by the volume. that we could do quietly. And so it is great !! !